The Oxnard Mitsubishi finance department has experts who are here to help you get approved with the quality car loan you’re looking for. Customer satisfaction is what we strive for and we are always offering great incentives to help your car buying experience easier. The finance department wants nothing more than to see you behind the wheel of your dream car. Making sure you get the financing you need at a rate you can afford is what we specialize in. The Oxnard Mitsubishi financing department is here to answer all your questions and guide you through getting a great new car loan. Oxnard Mitsubishi offers fast and easy financing. We can get your approved in minutes. Fill out an application online and we will contact you with a financing decision quickly. 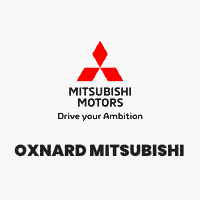 Enjoy fast easy financing with Oxnard Mitsubishi. We offer the best rates in the SoCal area. Don’t wait, get approved today!